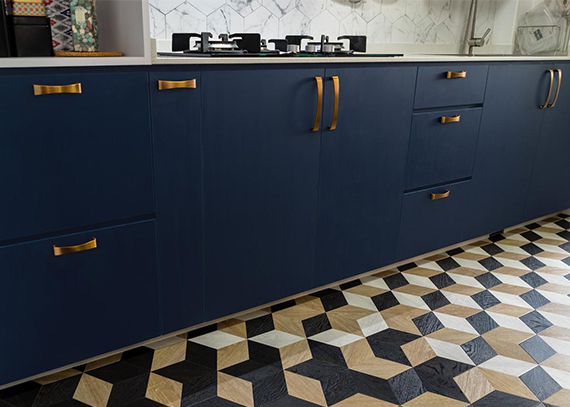 Dolling up your kitchen with something more than just ceramic tiles? Consider Eco Resilient Flooring (ERF), one of the most advanced type of flooring products today. Below are 7 reasons why eco resilient flooring is highly recommended for your home kitchen. The number one thing a working kitchen needs to have is a flooring that is highly water resistant. This will hence, make the flooring easy to wash and clean. While washing or cleaning your kitchen flooring with soapy water, one thing to caution about is potentially slipping accidents. This is especially so when it comes to ceramic tiles. 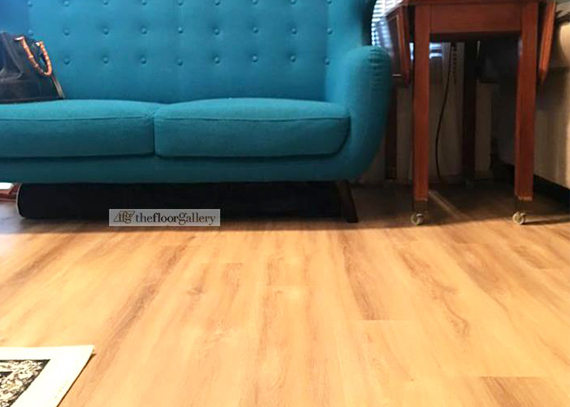 Eco resilient flooring is tested to be highly slip resistant, hence after the washing, you will still feel assured that slipping is minimised. This is therefore recommended for families with elderly parents who always do the cooking or laundry. Touch wood, though there is no wood. Even if an unlikely scenario of slipping accident, the cushion effect of eco resilient flooring greatly reduce the impact of the fall. Therefore, it enhances safety at home. Stubborn oil stains that gives you the headache of cleaning it away. No worries about it when you have eco resilient flooring. Intense cooking cause one to feel very hot in the room. If the flooring is not a good insulator of heat like ceramic tiles, sometimes you may feel your feet being uncomfortable. As for eco resilient flooring which is highly heat resistant, you have no worries about uncomfortable feet. Eco resilient flooring (ERF) has been tested to have high quality standards in terms of fire resistance such as the credible CE rating and other European (EN) standard test. Hence, such feature enhances safety at home. In the event of fire incident (touch many wood, please), fire spread will be greatly reduced with eco resilient flooring compared with non-quality vinyl or resilient flooring. 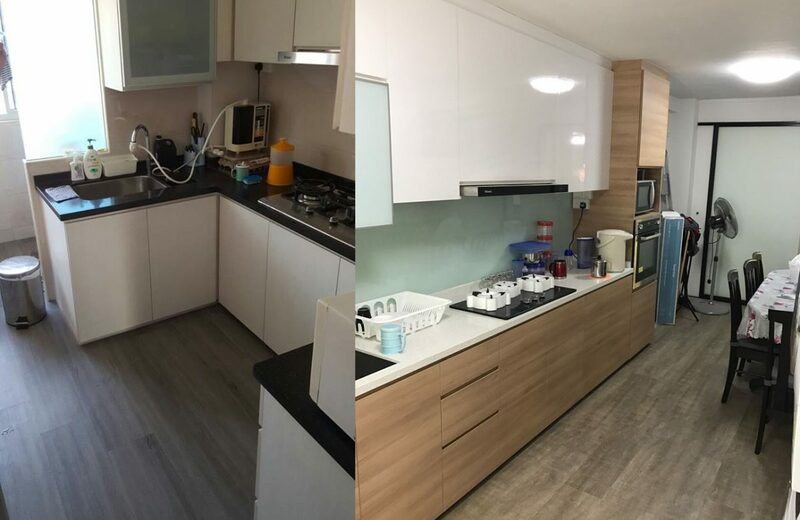 One reason to choose eco resilient flooring for your kitchen is because it is certified eco-friendly such that it has credible accreditation such as the Singapore Green Label. 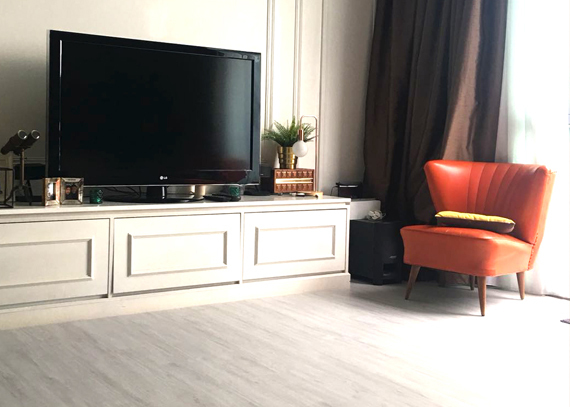 Certified eco-flooring products are tested based on stringent standards such as indoor air quality, composite of safety materials used to manufacture the product, VOC emission and formaldehyde emission rate. By installing certified eco friendly flooring products, one will therefore feel extra safe at home. Hope you have a clear understanding of eco resilient flooring (ERF) and why is it different from most types of clickable resilient flooring in the market.